Come out and make your Friday a fun night with the best KJ in Austin. 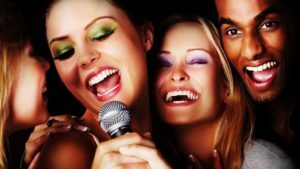 It doesn’t matter what you like to sing, Radan has it for you in her catalog of Karaoke tunes. Come and join the fun every Wednesday and Friday night at LT Corner Pub. The only Irish Pub in the Lake Travis area! 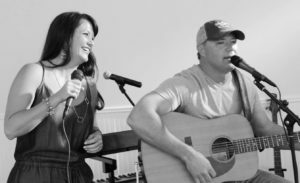 LT Pub welcomes singer/songwriter Jason Caraway along with Charla Caraway. Based in Austin, they’ve performed throughout Nashville, all across Texas, down through the Virgin Islands and parts of South America. Jason currently has songs in the top ten on the Trop Rock Charts. Come on out and make a fun night of it Wednesday with the best KJ in Austin and the best wine deals around. It doesn’t matter what you like to sing, Raden has it for you in her catalog of Karaoke tunes. Come and join the fun every Wednesday and Friday night at LT Corner Pub. 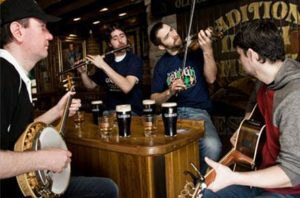 Lakeway’s only Irish Pub and Sports Bar! Wednesday is Ladies Night and gets you $3 off all wines all day every Wednesday. The new outdoor patio/deck is open for drinks and smokers with drinks……. Live Team Trivia followed by late night Karaoke at LT Corner Pub every Thursday. 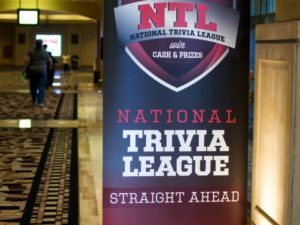 Trivia by Jason and Challenge Entertainment begins at 7:30 P.M. followed by Karaoke with Raden as your KJ from 10 until 1 A.M. Great prizes for 1st, 2nd and 3rd place teams. $2 Domestic Draft beers all day on Thursdays with some great Pub food available. Don’t miss the chance to show off your trivia skills and then hang around for a fun Karaoke time kicking off at 10 PM until 1 AM with KJ Raden.